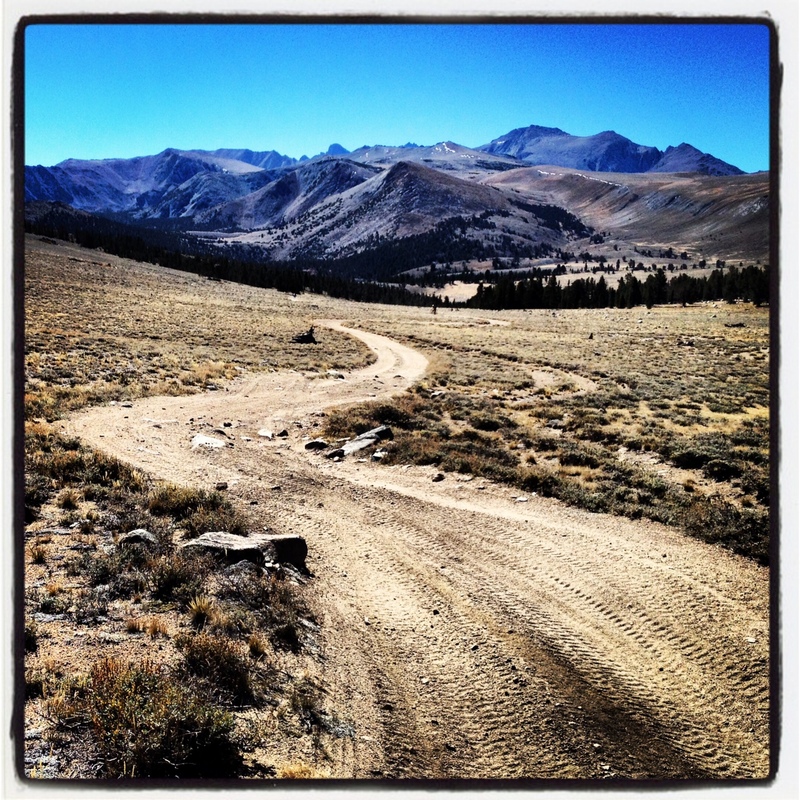 What is the “Coyote High Sierra Traverse”? It’s a remote, adventurous point-to-point ride, that takes place at average elevations over 10,000′. It’s a high traverse of the Coyote Flat area through high alpine meadows, offering views of the White Mountains and the Sierra Crest. If you’re thinking of attempting the Sierra 7500 Redux, this is a great to do first as a primer to the area (and it follows a big chunk of the 7500). People have been riding this remote route since the mid-80’s, but in 2013, we created a high-quality GPX file and an accurate cue sheet to make it less daunting. We aren’t doing a “Grand Depart” for this ride. We highly recommend doing it with friends or as an ITT (Individual Time Trial) if you’re of the competitive breed. Let us know you completed it, and send us your time (if you want to), and we’ll post you on the Official Finishers/Results page for “bragging rights”. The route we do is 35 miles and 4,700′ of climbing. However, half of the climbing is done in the first 6.25 miles!! This ride is definitely an expedition, not to be taken lightly – lots of hike-a-bike, steep, sandy sections and technical descending. A great excuse to #ridebikeswithfriends. It’s usually best between July and October, depending on how much snow is up at the higher elevations. If you’re considering doing it, Contact Us, and we’ll try to answer any logistical questions you may have. The ride starts near Bishop Creek Lodge above Bishop (on the way to South Lake) and ends in Big Pine (after riding down Glacier Lodge Road). 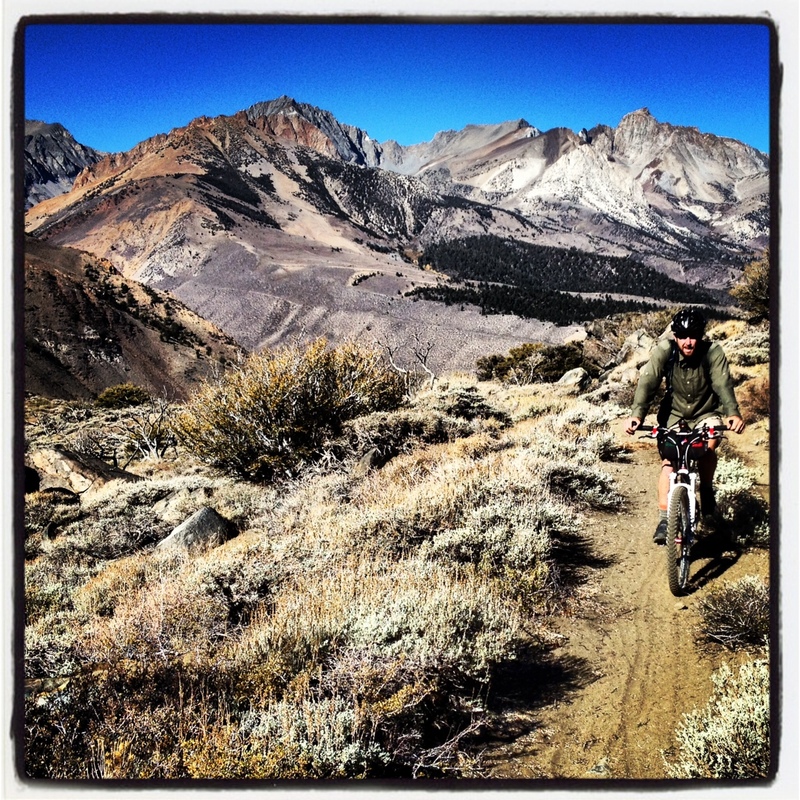 When we do it, we carpool/caravan out of Mammoth, drop a vehicle or two in Big Pine, and shuttle up to the trailhead. This is a 100% self-supported ride. It is a very remote ride. Bring enough supplies to get you through a full day in the boonies. There are a couple bail out options, if you’re just not feeling it. Run what you brung. 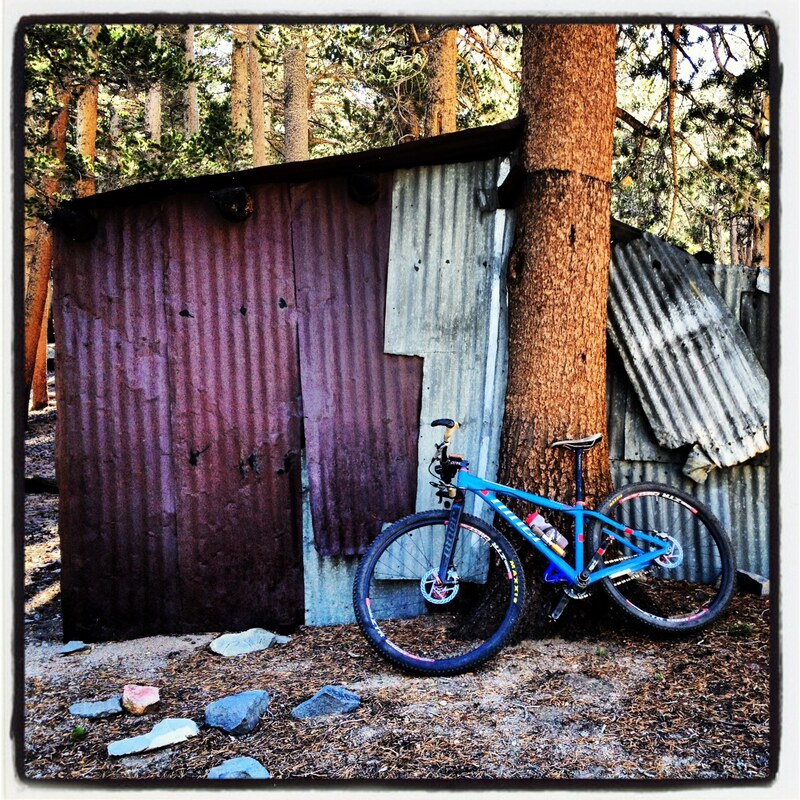 Any type of mountain bike or fat bike should work. Hunter did it on his fat bike. Alan did it on his rigid singlespeed. Most do it on xc/all mountain bikes, with full suspension. Anything you’re comfy riding is best. Yes. We park near the General Store by Bishop Creek Lodge. We then jump on the old Habeggers jeep road and start climbing. We climb and climb and then climb some more. About 2,300′ of climbing in 6.25 miles where you reach the highest elevation of the ride at 11,075′. Then we get some well-deserved descending. Double track that opens up to some of the most amazing views you’ll ever come across. Eventually we parallel Coyote Creek and make our way into Coyote Flat. We traverse across Coyote Flat, passing an old airstrip. 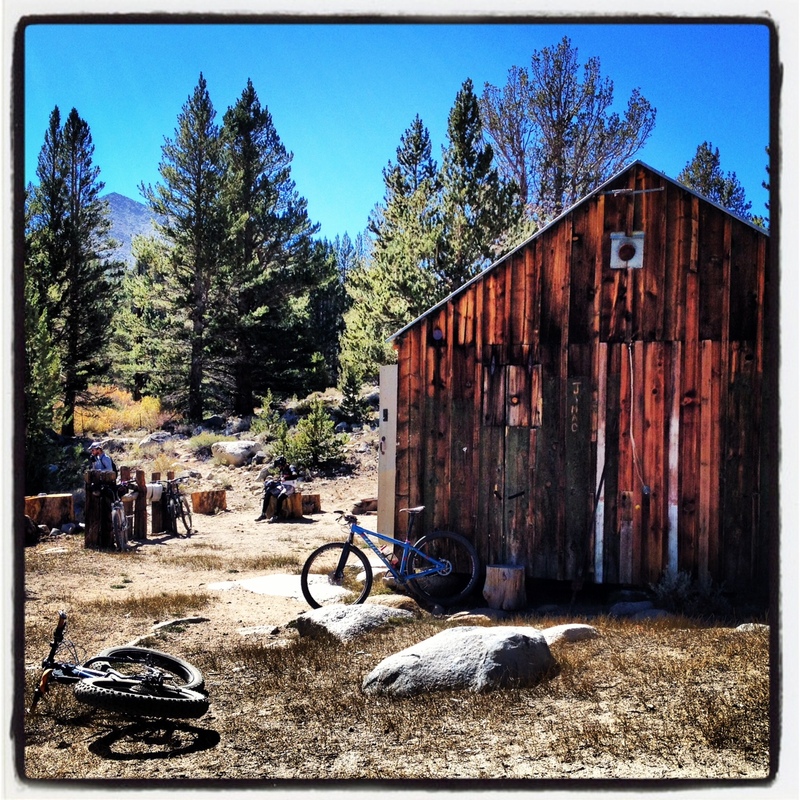 After some mild climbing and descending, we arrive at Baker Cabin, 17 miles into the ride. Then it gets a little gnarly. 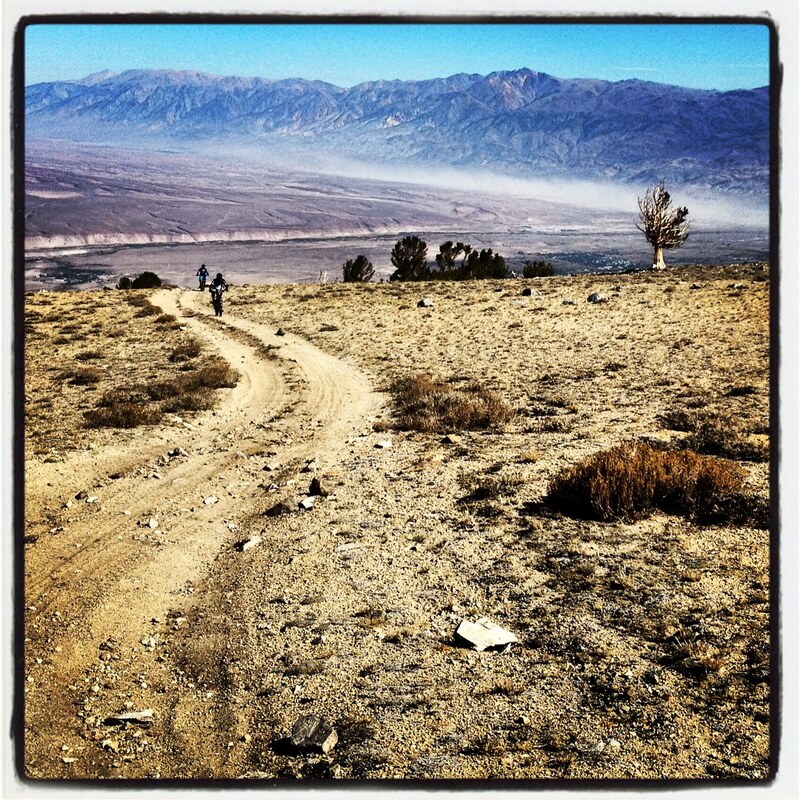 We cross Baker Creek, and the trail becomes faint, rocky, and hard to navigate singletrack. GPS is pretty critical here, or else it’s very tricky trail finding. There are a few cairns marking the trail, but even then it’s fairly tough to navigate. The riding becomes more technical. Some steep climbs and fatigue-induced hike-a-bikes will have you cursing. Intertwined are technical descents – some are super fun, some are sandy and somewhat annoying. The mantra of steep, techy descents, mixed with steep hike-a-bike climbs continues for the next 7 miles until we arrive at Glacier Lodge. Here, we jump on Glacier Lodge Road, and descend the road for 11.4 miles, dropping 4,900′ until we arrive at our vehicle(s) parked in front of a church. We then drive back to Bishop, stop for grub at Burger Barn, and pick up the vehicle(s) we left at the General Store. HOOT!! GPX File (very strongly recommended that you use GPS for this ride): Contact Us if you plan on doing this ride on your own, and we’ll send you the file. 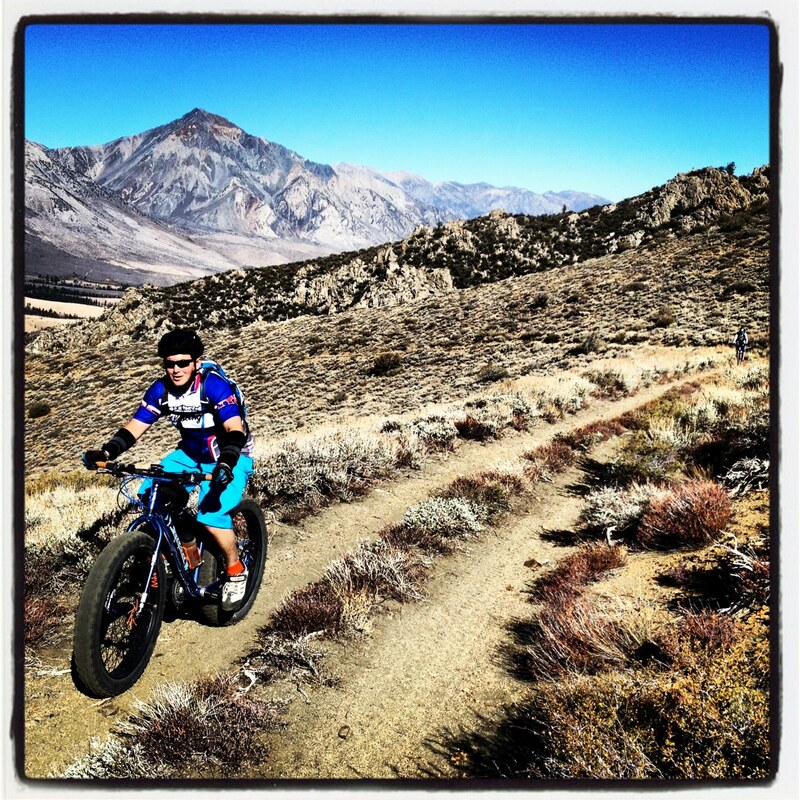 Hunter getting his groove on the Fatty – Habeggers Rd. View back to Bishop right before reaching the summit. Are you kidding me? This is amazing!! Your reward after reaching the peak of this epic ride! !